Pakistani singer Atif Aslam has won millions of hearts with his distinctive and soulful voice. The singer has a huge fan following across the globe and people just couldn’t stop listening to him. But now it seems like the singer is also adored by a world-famous American DJ. Christopher Comstock, professionally known as Marshmello, has his sights set to create waves with his another biggest collaboration. 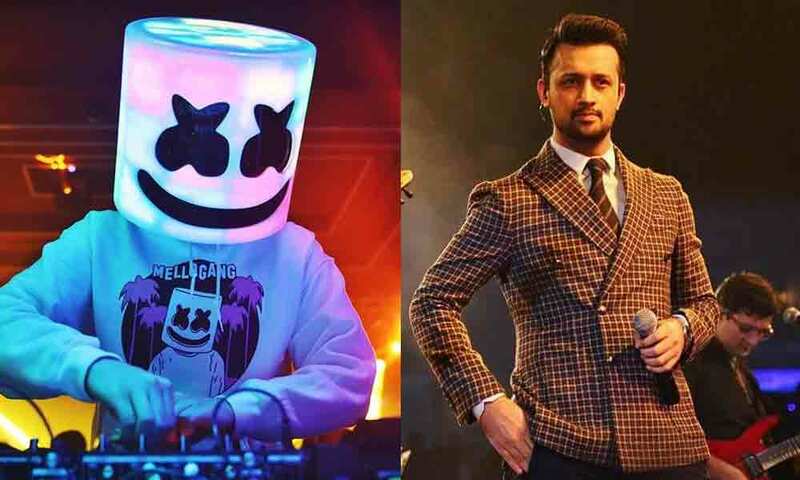 DJ Marshmello is an American electronic music producer and has always amazed with his performances and his tracks that have proved to be chartbusters. The DJ has previously collaborated with Khalid, Selena Gomez and others and now it looks he wants to collaborate with our very own Atif Aslam. We would definitely love to see this happening and now we all are hoping for great news from both of them. For more updates and details, stay tuned to Brandysnario.